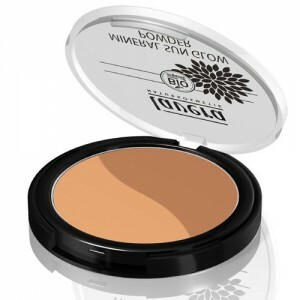 A light bronzing powder that gives a shimmering metallic finish. Highlights cheeks and brows or gives the face and neckline a radiant appearance. Colours: available in Sun Bronze 02 & Sun Touched 03. The powder is made exclusively with natural ingredients and contains organic liquorice root extract and organic flower essences.